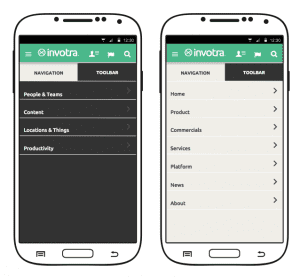 The creation and maintenance of architecture and navigation for your site is made simple for all of devices with Invotra’s menu management options. Organisational branding can be easily reflected in menus and changes made in moments. With our menu features your important pages can be highlighted. 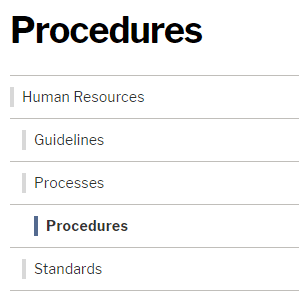 Adding them to the multi level menu ensures your users can find important organisational information and the applications they need with ease. Any successful intranet is built upon good navigation menu foundations so that the end users find it easy to navigate their way around the site. Our navigation ensures your employees will enjoy using the site to share content, collaborate and communicate with each other. Menu highlights and on page navigation ensure your users know exactly where they are while navigating manuals or content heavy site sections and, as with all menus, can be branded with site colours.